Best known for the Palio di Siena, a famous horse race, this piazza is a magnificent part of Siena that cannot be missed. Dating back to 1581, the Palio is held twice a year in July and August. 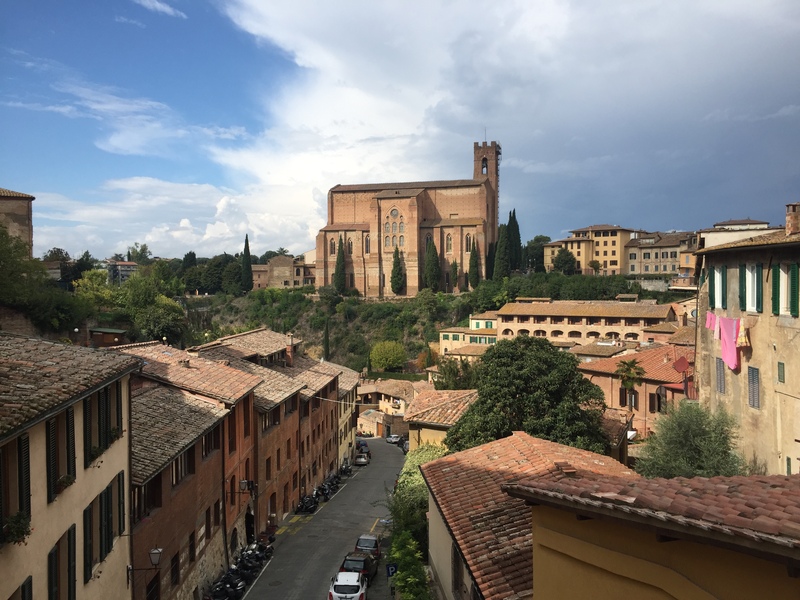 While there are seventeen districts within the town of Siena, only ten districts compete in the horse race, selected by a lottery. The race itself is only three laps around the piazza, lasting a measly ninety seconds, but thousands of people come out to watch annually. Dedicated to the Assumption of Mary, the Siena Cathedral was built between 1215 and 1263. With a combination of influences from French Gothic, Tuscan Romanesque, and Classical architecture, the cathedral makes an impressive masterpiece and is one of the most beautiful sights in Siena. Inside the cathedral black and white marble striped columns stand tall, symbolizing the coat of arms of Siena. 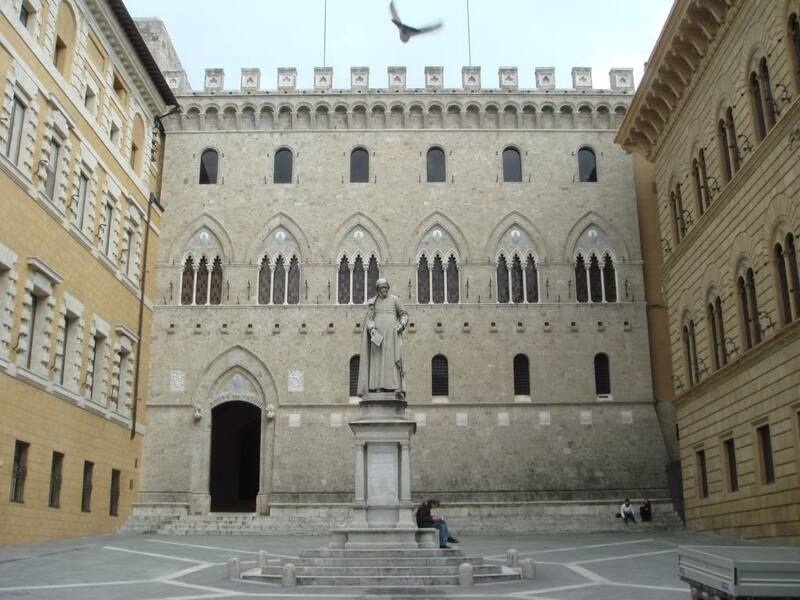 Built in the 14th century, this palace is home to Banca Monte dei Paschi di Siena, which is one of the oldest banks in the world. In the 19th century it was remodeled to neo-Gothic style. Although the palace itself is not massive, it holds great significance in the town of Siena. 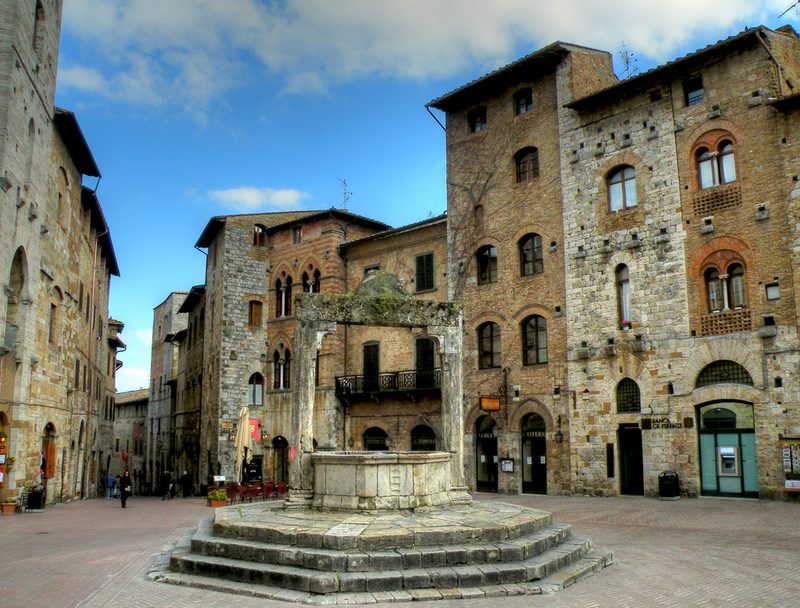 This piazza is the main center of town and typically the most crowded. Located in the center of the piazza is a fairly large cistern which was created back in 1346. This large piazza is the perfect spot to sit and enjoy gelato while enjoying the medieval architecture of the surrounding buildings. Located in the central Piazza della Cisterna, you will be able to spot this gelateria by the massive line out the door. They are the ‘Gelato World Champions’ recipients of 2006/2007 as well as 2008/2009. With dozens of flavors, make sure to save room for gelato here, you won’t want to miss out! Continuing north through Piazza della Cisterna, you will find Piazza del Duomo. Most noticeable, the Collegiate Church which is a minor basilica and simply beautiful inside. The Palazzo Comunale is also located here which acts as seat of civic authority in the heart of the city. Book your trip to Siena and San Gimignano at www.florenceforfun.com and save 5% when you use promo code TRAVEL.